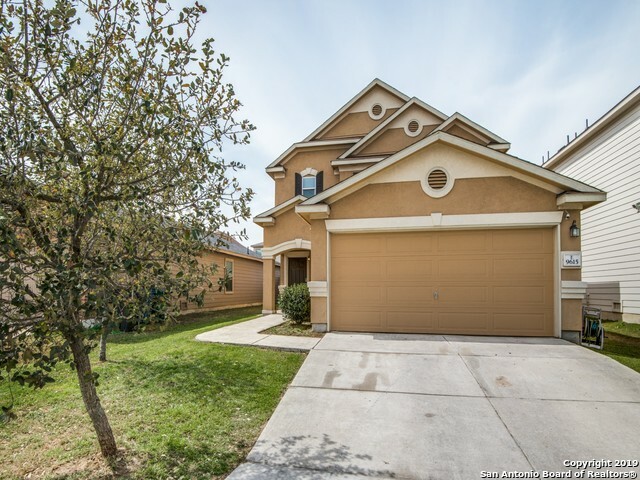 All KINGSBOROUGH RIDGE homes currently listed for sale in San Antonio as of 04/22/2019 are shown below. You can change the search criteria at any time by pressing the 'Change Search' button below. "Spacious 3 bedroom, 2.5 bathroom home in a quiet family neighborhood ideally located in San Antonio near Palo Alto College, restaurants, shopping and parks. Striking exterior makes this home POP out from the others. Established yard has sprinkler system, and extended cement patio for furniture; canopy located on patio is to stay, and secure fencing for pets. Large living area for family to gather for games or celebrations. This property is calling your name, WELCOME HOME!!" "Come and see this great home in a great neighborhood. 3 bedroom 1.5 bathrooms. Open floor plan, good size rooms. One full bathroom and a half bath great for a family. Back of house sits on a greenbelt so no close neighbhors behind the home. One car garage. Lots of closet space. With a little TLC this house would be great for a growing family."